Your second childhood begins as you grow older. It's time to celebrate, be free of responsibility and leave all worries behind. Elders paint values in society! They represent love in society! They are precious as they keep traditions alive in society! They deserve to live an honorable, jubilant and carefree life. 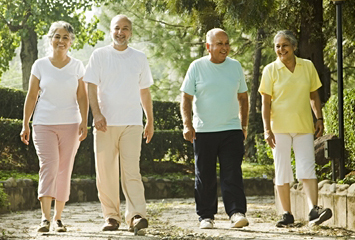 The 2nd Innings Retirement Resort is a place where we take your worries and convert them into happiness. 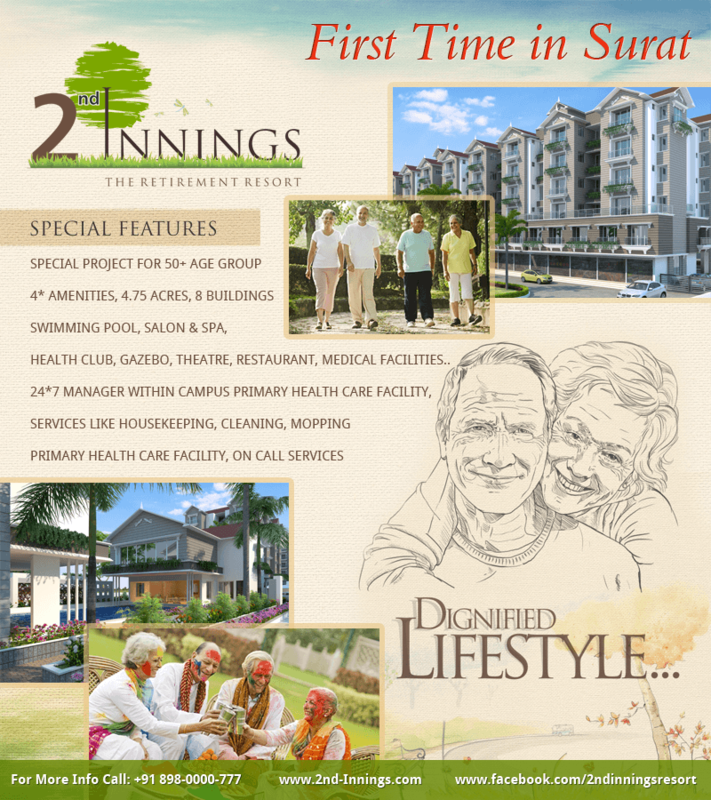 The 2nd Innings offers you a dignified lifestyle in a lavish, rejuvenating and secure environment. 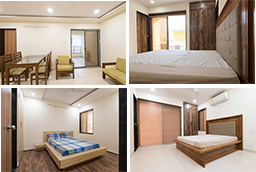 The 2nd Innings is a well-planned project to ensure that you are always Happy, Comfortable, Secured and Looked after - Focusing on the minor as well as major requirements starting from Food & Diet to Security and Medical Care from House-keeping to entertainment planning of the old age people. Most of the clients at 2nd Innings are Lawyers, Chartered Accountants, Senior Managers who are used to a certain kind of lifestyle like an NRI. 2nd Innings will be a premium project providing four- star resort style living with focus on top- of- the- line security, healthcare and wellness services besides housekeeping, concierge and help desk services along with regular features like Gym, Swimming Pool, Club, Spa, Library, Indoor & Outdoor Games, etc. Several retired Gujarati NRIs who don't want to continue living abroad, had evinced keen interest in projects like ours as they feel they would be better cared for in the retirement home. The biggest concern for retired NRIs is failing health and security. We are coming with all the trappings of a modern lifestyle, plus security and health care facilities. These are serviced apartments, making life far easier for aging residents. Retired NRI couples wishing to return home after their assignments abroad would find this a very attractive option. Always Listening – Always Learning | Ready to accept changes based on researched feedback.